Posted September 1st, 2017 by Barb Stillman & filed under Featured Shops. 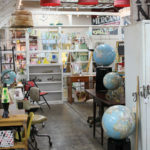 Midtown Mercantile Merchants Antique & Vintage Mall in Tucson is a hub of activity featuring 30,000 square feet offering an eclectic and diverse mix of inventory waiting to be explored with fun surprises at every turn. 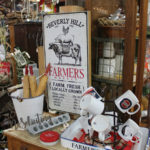 Owner Tami Mitchell has created a warm, open and welcoming family style mall where merchants, staff and customers are each part of the community. Visitors who walk through the door are warmly greeted by staff members who are also available throughout the mall to answer questions and help shoppers. The booths are spacious and the aisles are extra wide creating an inviting atmosphere. On staff are Ron, Mary, Peggy, Ann, Autumn, Angel, Melissa, Matt, Mason, Molina, Kyle, Gwen and Stephen. There are currently 102 independent merchants and each is juried to provide shoppers with a one-of-a-kind shopping experience. There is even a waiting list for prospective merchants. A treasure trove of individual uniqueness is offered along with classes on various topics and teachings. Coming up on September 16 is a University of Arizona Pop-Up event on how to style a dorm room using the three Rs—Reuse, Renew & Repurpose. All students will receive a 15% discount. Something unique to Midtown Mercantile Merchants is their tearoom. Annette Hartman hosts scrumptious and delectable High Teas offered several times a month plus additional specialty teas are held seasonally during the year. There are also children’s teas for Halloween, Christmas and Easter and a children’s cooking class was offered this summer. Call for Teatimes or check the website. Because a mall this size has such variety, it would be impossible to mention every type of item or service that is available. 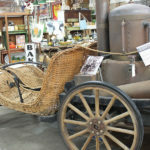 But, among the many choices, you will find Victorian to Art Deco collections, Asian art, European glass, clothing, toys (new, vintage and antique), Native American art and jewelry, Mid-Century Modern, antique and repurposed furniture, militaria that is museum worthy, jewelry from all parts of the world as well as pieces handcrafted by local artists, and industrial and farm items. This is only touching the surface and the collections are always changing. Many merchants have traveled abroad this summer, bringing back treasures from India, the Orient and European countries, so you will want to check in often to see what is new! At Midtown Mercantile Merchants’ front counter there is a wish book where guests can write down specific items they are looking for and the merchants check it regularly to see if they have that special item in their booth or storage. It is one way that allows the merchants to stay connected to their customers. A gazebo in the back section of the mall has become a customer favorite as its décor changes with the seasons every month or so. Right now it is a back-to-school theme. This is a community project that comes together to inspire shoppers. The mall celebrates Christmas year-round with a Christmas booth at the front of the store. Of course, in December and again for Christmas in July there is a holiday atmosphere throughout the mall. There are discounts throughout the month and the third weekend is 10% off storewide. In honor of Veterans, every Monday is ‘Military Monday’ with active and retired Military plus dependents receiving 10% off storewide. The second Wednesday of the month is Senior Day when customers 55 and over receive 10% off. Be sure to check out the Clearance Corner in the back of the mall where merchants have some very nicely discounted items. Every fourth weekend (excluding July and December), the Thom Carchedi Estate Marketplace is held in the west warehouse Saturday and Sunday from 8 a.m. to 3 p.m. and line-up numbers are available at 7 a.m., Saturday only. This is a great shopping opportunity and you will not know what treasures you will find unless you visit! For more information, go to www.carchediestatesales.com. Each quarter the mall holds a ‘Meet the Merchants,’ event when customers can mix and mingle, ask questions and find out more about the merchants themselves as they share their passion, knowledge of, love for, and excite about their collections. Refreshments are served and it is a relaxing time to drop in and get acquainted. Tami says some of the future plans are to expand the mall either in the same location or move to a larger building in Tucson to include a restaurant, have a Boho Boutique area with newer items and room for additional Merchants. 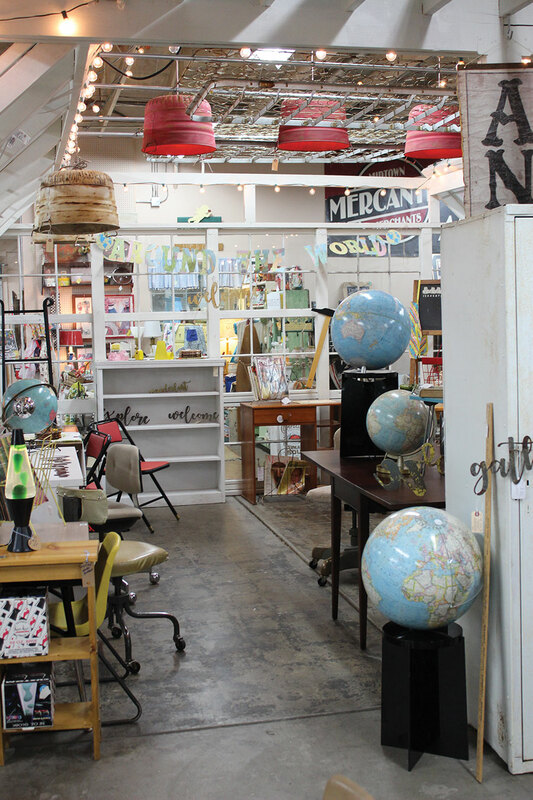 Midtown Mercantile Merchants is located at 4443 E Speedway Boulevard between Swan and Columbus. The mall is open Monday through Saturday from 10 a.m. to 6 p.m. and on Sunday from 10 a.m. to 5 p.m. For more information call 520-777-7275, visit www.midtownmm.com, follow the mall on Facebook, Instagram or Twitter or the blog at midtownmmblog.com.